APPSC Group 2 Main Results 2017: Marks Published @ Psc.ap.gov.in, Check Now: Andhra Pradesh Public Service Commission (APPSC) has published the marks of the candidates who have appeared in the main examination of the APPSC Group 2 Services. The APPSC Group 2 Mains examinations (CBRT) for Group-II Services, 2016 was held on July 15, 2017 and July 16, 2017 at 171 venues across Andhra Pradesh. The Marks of Candidates who appeared in the Mains Examinations of recruitment to the Group II services are made available on the official website of APPSC. 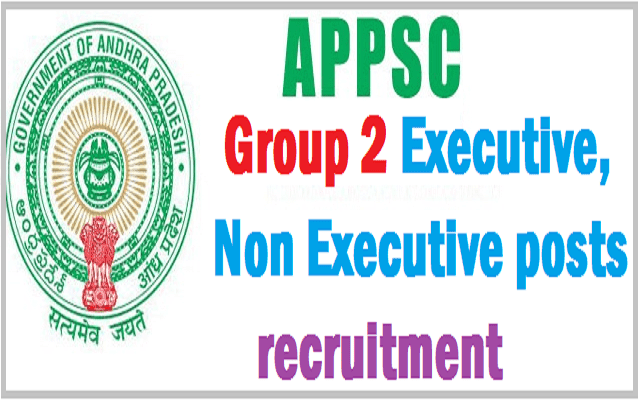 The marks of the candidates appeared for the APPSC Group 2 main exam are given in various pdf filed on the website. Follow the steps given in this article to check the marks. The Marks of Candidates who appeared in the Mains Examinations of Notification No.18/2016- Recruitment to the Group II services As the Hon’ble APAT vacated the stay in OA No’s 2251/2017, 2381/2017, 2583/2017 and permitted further process, the marks of each Candidate who appeared in the Mains Examination are published. Any Degree/ Degree in Commerce or Economics or Mathematics and Pass in any one of the Office Automation/ PC Maintenance and Trouble Shooting/ Web Designing Certificate Course Examination/ Degree in BCA/ B.Sc (Computers)/ B.Com. (Computers)/ B.A. (Computers)/ B.Tech/ B.E with Computer Science or information Technology or equivalent examination of Office Automation/ PC Maintenance and Trouble Shooting/ Web Designing Certificate Course. Based on Screening test, Main examination, Computer based test, Mock test, Written examination, Verification/ Interview. Candidates age limit should be between 18 – 42 years for Sl. No. I (1, 2, 4 to 7) & Sl. No. II, 20 – 42 years for Sub-Registrar Grade-II Posts, 18 – 28 years for Prohibition & Excise Sub Inspector posts as on 01.07.2016. Candidates may apply online through APPSC website. Last Date to apply online: 18.12.2016. Date for Screening Test: 26.02.2017. Date for Computer based test: 20.05.2017 & 21.05.2017. APPSC Group 2 Prelims Results on April 2, 2017: The Hall tickets for GROUP-II SERVICES NOTIFICATION No. 18/2016 (GENERAL RECRUITMENT) are available for Download (Except for the Candidates who opted Hyderabad as Primary center and for them Hall Tickets will be uploaded on 14/02/2017). The Candidates are advised to check the location of their venues in advance. Andhra Pradesh Public Service Commission official website is finally back with the screening test result of APPSC Group II screening test results. The APPSC had earlier released the results, however, after the heavy traffic interrupted the retrieval, the website held the results back for some time. Now the results are back and the candidates can check their screening test results from APPSC official website. To know the APPSC Group 2 Screening test results, the candidates can click on this link given in the home page: "Screening test results for Group-II Services (General Recruitment) Notfn No: 18/2016. - Click Here"
Step II: Click on "Screening test results for Group-II Services (General Recruitment) Notfn No: 18/2016. - Click Here" given in the homepage. Step III: Login using your user ID and password. "Candidates may check their mail for Group-II screening test results. Also a template will be provided for knowing marks and results", said a notification posted earlier in the website. APPSC PRESS NOTE: After considering all the aspects, the Commission has decided to postpone the Main examination for Group-II Services, 2016 (Notification No.18/2016) to 15th & 16th July 2017. As a result, the Main examination for recruitment to the post of Panchayat Secretary (Notification No.29/2016) would be postponed to 30th July 2017. Candidates may note the change. ATTENTION: "Notification No:18/2016-Group-II Services-Submission/Modification for filling up the Posts/ Zones/ District preferences last date has been extended upto 31-05-2017. Applicants who have already submitted the Posts/ Zones/ District preferences are requested to check the details and modify if necessary. No requests thereafter would be considered.